Where games and geekdom unite. This weekend was a lot of packing, and a little bit of gaming. Thursday we didn’t game any, as we had dinner out with some friends. Friday we didn’t really video game either, as we hung out with a friend in the morning, argued with our apartment complex in the afternoon about our notice to leave (I won’t get into details, but it’s aggravating beyond measure, and we’re being taken advantage of, but that’s better than trying to deal with anything legal and drawing it out plus costing us even more money), and Friday evening/night we hung out with some friends and played a bunch of tabletop games. In particular, we played a few rounds of Five Tribes, which was a lot of fun, but not something I think I’ll master any time soon. Saturday was chores, and a bunch of packing, though I did get onto WildStar for a bit to run some normals with some folks (then went back to packing), and then about five or six Vet Dungeons to hit my Elder Gem cap for the week, as I hadn’t really done anything to get any. Sunday was raid night, so I spent some time working on perfecting my Frenzy/DPS rotation, which helped me out some. We got Experiment X-89 down lower than last week, however, we did lose quite a few people towards the end of the raid. I’m sure it didn’t help that we set it up for a Sunday night over a Saturday night. Positive is still trying to pin down the days that work best for the most people, so we may have some more nights that differ until it’s settled (for a while, at least). Last night was more packing, as well as hitting the gym. I also spent a fair amount of time playing Phoenix Wright: Ace Attorney on my DS. I forgot how much fun it is! I bought it ages ago, and my mother brought it with her when she came to visit in May. I had apparently left it at their house when I moved, so it was nice to have it back! Chaide also bought me Pokémon Pearl over the weekend, but I had to go switch it out yesterday, as whomever turned that particular copy in just took a Spyro game and slapped the Pokémon label on it. Probably for more money on the return. Jerks. While tracking my food this morning on LoseIt, I decided to check on how I was doing on my “Walking to Mordor” challenge (I’m… not doing so well, haha) and stumbled upon a challenge focused on the Hero’s Journey program over at Darebee. I decided that the challenge looked neat, so I joined (it starts today–wish me luck!)! I tweeted about how neat the challenge looked, and Nephsys piped up that she’d love to try it out, and we should offer it as a challenge for the Greysky Armada FC folks! So, after some interest, we’ve decided that we’re going to do just that, and I’ll be heading it up! So, what is it? It’s a 60 day exercise program that has RPG elements to it. You choose weapons and companions that give you bonuses, and can choose to take bonus quests, etc. The weapon you choose determines extra exercises you do, and you earn points based on the intensity of your workouts. Some days have you choosing which actions to take, and based on your actions, you do specific exercises. And some days, depending on what path you choose, you get Karma Points (scroll to the bottom of the linked page, but don’t look until you hit that particular day!). It’s a really neat concept overall! While I will be starting today to coincide with my LoseIt challenge, we will be starting up for the FC on Monday, July 13 (unless folks are inclined to begin early, or you stumble upon the challenge late–in which case you’re welcome to join!). This is also open to folks that are not in the FC, per se, but know folks from the FC that would like to participate in the challenge as well. Adventurer’s Name: The name you’re going by! Weapon of Choice: There are six weapons to choose from for the challenge, and they all give you extra exercises to do throughout the sixty days. They include: Heavy Sword, Hammer, Bow and Arrow, Lasso, Red Ribbon, and Magic Ring. They focus on specific areas and/or equipment, so choose what’s appropriate for you and what you have access to! (EDIT) You can also choose to forgo without a weapon after Day 3’s initial Weapon Practice. Level 1, 2, or 3? : Based on your prior exercise experience (or current routines), you can choose which level you’d like to participate at. You will maintain this level throughout. (EDIT) You can change this at any point, and add your points accordingly. If you do change levels, please note in the Day with what level you changed to! Day 1, Day 2, etc. : This is where you will track the points you earn based on the points chart. Based on when you start this challenge, people may be ahead or behind you. Don’t worry about what day other folks are on–just focus on your sixty days! So, what do you get for completing it? I’m going to make up a snazzy badge for your blog/social media page! It’d be awesome if you chat about your progress on your platform-of-choice (Twitter, blog, etc.) as well. It could be a daily quick-post, or it could be a weekly post talking about the challenges you ran into for the week, the Karma points you got, etc. So, why are we tracking the points? Because it’s part of the program, and who doesn’t like to know their Score at the end of the game?! But there won’t be anything for it–because all of us will be winners as we gain better healthy habits! To better track those participating, please use the #GSHerosJourney tag when you share your updates/blog posts on Twitter! That way we can offer support and encouragement (and a little bit of competition!) to one another as we progress! 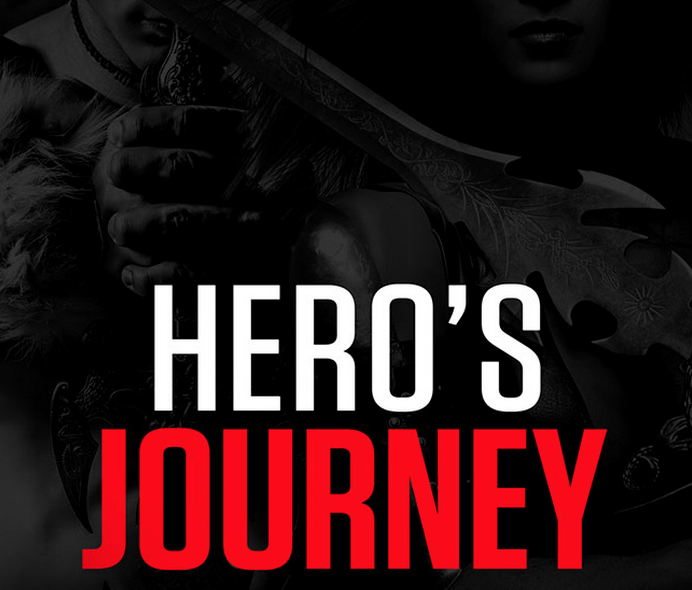 Will you be joining us on this Hero’s Journey? To Optimal or Not To Optimal? Really looking forward to the Hero's Journey. Glad you decided to share it with us and make it an official thing. Also glad I checked in to see the starting day for next week. Will be there! Well, well I had been thinking about doing something as I need and want to get fitter again but been struggling to get movitation to do this. So… maybe … eeps! You can do it! ^_^ A lot of us are taking it at our own pace–taking days off, modifying exercises a bit, etc. 🙂 The point is to get in shape–not to kill ourselves, hehe. Like what you see on the blog, YouTube, or Twitch? Consider supporting me so I can continue to create quality content! A special thank you to Beej for helping to host the blog. Check out his content, and consider supporting him as well! Gamer Girl Confessions by Chestnut is licensed under a Creative Commons Attribution-NonCommercial-ShareAlike 4.0 International License.